Applying for a business loan is one of the most important things you’ll do in the course of owning and operating your company. The choices you make before and during the application process will have far-reaching ramifications. So what are the things you need to know before you apply, and why are they important to keep on your mind? Just like in a bet at the casino, a lender is placing money on you. They do this after having made an evaluation that leads them to believe they’ll get a suitable return on their investment. So when you’re applying for a business loan, evaluate yourself and your company in that context. What are you doing to show potential lenders that you’re a worthy bet? Does your business plan show a level-headed and objective plan to move your company forward? Did you complete your paperwork in a timely fashion? When you meet with an account manager, are you presenting yourself as a professional, trustworthy businessperson? If you’re seeking a business loan from a traditional brick-and-mortar bank, you need to remember that there’s a human being sitting on the other side of the desk. That might seem obvious, but many business owners seem to operate as though an algorithm is making every decision. So make sure you’re able to sit across a desk from a human being and explain your company. What do you do? Why do you do it? How do you do it? Helping the people who are potentially underwriting your loan understand your company – and you – will help show them you’re a safe bet. What’s your relationship like with this lender? Do you have active accounts with them already, or is this business loan application your first interaction? Having an established, long-term relationship shows the lender that you’re a loyal customer. In other words, don’t pull your requested loan amount out of a hat. If you’re requesting $150,000 for your company, you should be able to explain exactly why that number is the amount you’re looking for. And don’t just be prepared to show how you’ll spend the funds. Also be prepared to explain why those purchases are necessary. What’s the return on that investment for your company? 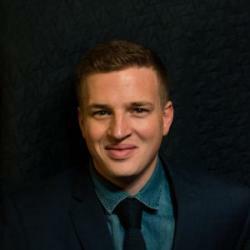 Is that money being spent to hire a new marketing manager who will expand your sales? Is the loan being spent on a piece of manufacturing equipment to produce your product faster and more efficiently? How much faster and how much more efficiently? When a lender sees that their money is being spent to increase your profits, they see how that increased revenue will lead to repayment of the loan. Particularly early on in the life of your company, your personal credit history will be an important part of any loan application. Think about the previous tip: Your personal credit score is an indicator of your history of paying loans back. Your credit score is a numerical representation of how good of a bet you are. Are there any accounts you can close out before you apply for your next loan? When was the last time you checked your credit report for accuracy? Is everything on your report fully updated? 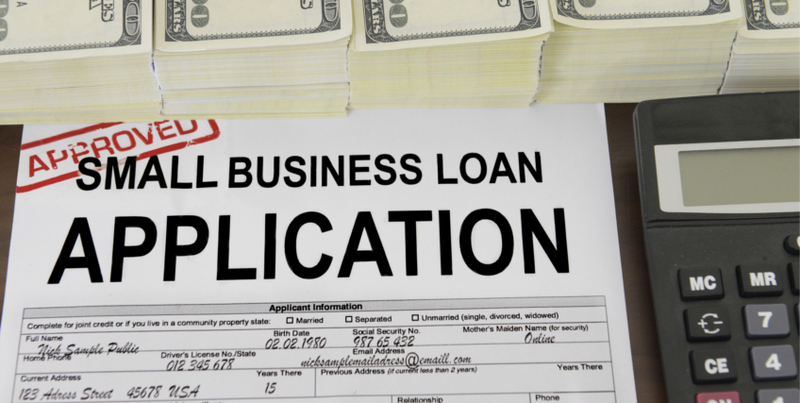 The application process for a business loan can be arduous and long. You need to stay on top of the process by being incredibly organized. Create a checklist and other organizational tools to help keep track of the documents you need, when you need them, and where they need to be submitted. Using online software like Evernote, a simple word processor document, or even the notes app on your cell phone are all great options for keeping track of the documents you’ll need to ensure you’re ready to answer any questions about you and your company. Everything that happens in your company’s financial life is, in many ways, a result of the choices you make when you’re first applying for a business loan. That loan is the foundation on which you’re building your company. Make sure you’re fully researching the different types of loans and that the one you choose is the correct choice. 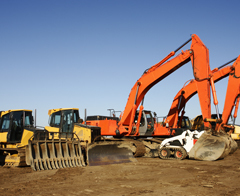 If you apply for an equipment loan and then decide a few months later that you need capital for a new hire, you may need to take out another loan for that purpose. 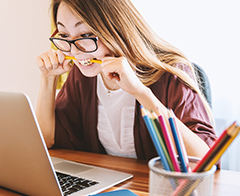 Applying for multiple loans in a short period of time can have a negative impact on your business credit report, leading to higher interest rates and fees in the future. So why was an equipment loan the best choice in the beginning? Should you have foreseen the need to hire a new person? Was there a better loan option? The fact of the matter is that your first business loan may not come with the greatest terms. Companies with a long time in business, high revenue, and pristine credit reports are obviously seen as safer bets than an upstart company. So you can expect more stringent terms, higher interest rates, and maybe even smaller loan amounts when you’re first starting out applying for business loans. While it isn’t ideal, you do need that first loan to get your company up and running. But plan ahead. What will your payments look like? Can you support those payments in slow times? Can you plan on refinancing your business loan down the road? Will another loan be necessary? These are all important questions to ask when you’re writing your business plan. Sometimes, the loan won’t work out. Despite your preparation, a carefully-written business plan, and all your hard work, the lender may decide not to offer you your loan. This doesn’t mean it’s time to give up on your business. It does mean you should consider why the lender chose not to offer you the loan you wanted. Was it the wrong type of loan? Was it your business plan? Was it because you asked for the wrong amount? 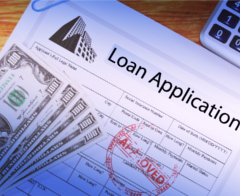 Re-evaluate your application and consider looking into a different type of business loan. You may need to take out a higher-interest, shorter-term loan, or a smaller one. No matter what the solution, you can always pivot to a different loan in order to provide the funding your company needs.